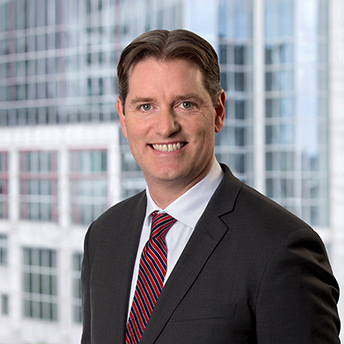 David Robinson focuses his practice on litigation of complex commercial matters, lease disputes, employment disputes, wage and hour collective actions, construction, and securities and financial services. David represents retail businesses, restaurants, manufacturers, service providers and financial institutions is a wide variety of matters, including contract and shareholder disputes, discrimination, wage and other employee claims, and professional licensing issues. He has tried cases before judges, juries and arbitrators in Massachusetts and New York. David’s clients rely on his experience and expertise to advise, draft and negotiate contracts, and to resolve disputes through negotiation, mediation, arbitration and litigation in state and federal courts. David advises employers on employee policies and discipline, wage and hour compliance, investigation of harassment and discrimination complaints, and non-compete agreements. He also assists clients with government audits of employment practices, including but not limited to investigations by the Department of Labor and the Massachusetts Attorney General. He represents clients in state and federal court, before the Massachusetts Commission Against Discrimination, Equal Employment Opportunity Commission and other state and federal administrative bodies. He is a frequent lecturer for the National Retail Tenants Association, South Shore Chamber of Commerce, Massachusetts Continuing Legal Education and other organizations, and has written several articles on employment law, lease disputes and other matters of legal significance.